Romance is in the air as Valentine’s Day approaches, and while many are buying candy and making dinner reservations for a date night with a special someone, there are also many who don’t have a special friend or companion to share in the fun with. -Stop by for a visit! Just popping by can brighten anyone’s day. Calling first is always nice, but a surprise visit is fun too. -Everyone loves flowers. So send some! Or if you’d like you can hand deliver them, making the gesture even more special. – Sweets for a Sweet! 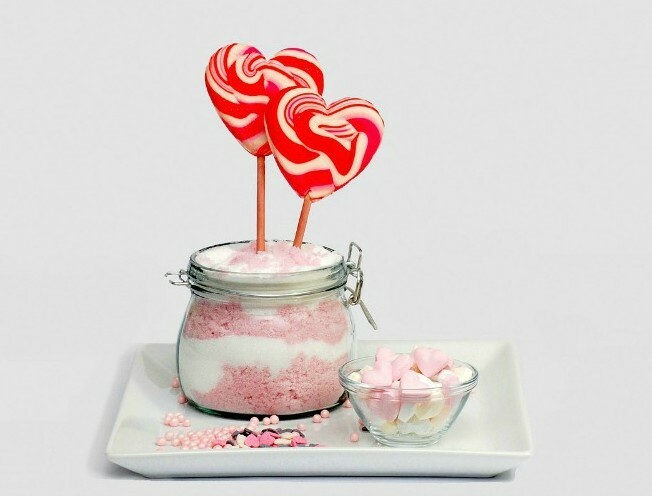 Candy or a sweet treat can bring a smile to anyone on Valentine’s Day. Cakes, candies, it doesn’t matter, it’s all delicious! – Handmade is always the best. Have the kids join in with handmade valentines, and including a photo of them. Personal gifts like these mean the world. -Share a special meal. Breakfast, lunch, or dinner, this will give you time to talk about some fond memories with your senior. -Keep their love alive. Whether or not their loved one is still with them, reading old notes or love letters can help your senior remember their great love. -Continue traditions. Maybe your senior used to make a special dish on Valentine’s Day or buy the same type of flowers every year. You can help keep the tradition going! We hope these tips can help you and your senior celebrate this special day with lots of fun and festivity, and Happy Valentine’s Day from all of us here at Freedom Home Care.